Tony C. Paisana is a graduate of the University of British Columbia. While in law school, Tony received several awards including the prestigious Richard R. Sugden, Q.C. Prize in Trial Advocacy and the Hon. Thomas A. Dohm Q.C. Scholarship in Law. After articling with Peck and Company, he was called to the Bar of British Columbia. Tony is an experienced trial and appellate lawyer, having argued cases at all levels of Court including the Supreme Court of Canada. 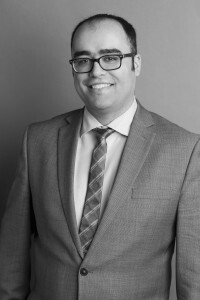 Tony practices predominantly in the area of criminal law, including acting as Crown Counsel in special prosecutions involving potential conflicts of interest with the Ministry of Justice. Tony has also represented clients with respect to quasi-criminal matters including securities prosecutions, workplace fatality investigations, and forfeiture proceedings. Tony is the Chair of the Law Reform Committee of the Canadian Bar Association’s National Criminal Justice Section. In addition, he is a founding member of the Criminal Defence Advocacy Society, Vice-President of the Advocate’s Club, and a supervising lawyer with the UBC Innocence Project. This upcoming year, Tony will also serve as the Chair of the Vancouver Criminal Justice Subsection. Through his work with the Canadian Bar Association, Tony has testified before Parliament regarding criminal law policy and legislation. He also periodically authors articles and makes presentations dealing with emerging criminal law issues. Tony is an adjunct professor at the UBC Faculty of Law where he teaches a course on preventing wrongful convictions. Outside of the law, Tony acts as a Director for the Friends of Tupper Fund, a substantial scholarship fund which provides awards to worthy students who attend Sir Charles Tupper Secondary School in Vancouver.